More than five million people have registered for the Huduma Namba since the government rolled out the National Integrated Identity Management System (NIIMS) registration drive. The revelation come as the government raced against time to ensure Kenyans are registered into the system. Interior Cabinet Secretary Fred Matiang’i urged more Kenyans to turn up in large numbers for the digital data listing. “We are happy as a government that the mass digital registration of people for Huduma services has borne fruit and many are now turning out,’’ said Dr Matiang’i. The CS spoke in Kisumu after inspecting the exercise even as leaders in Nyamira County expressed concerns over the low turnout. Borabu MP Ben Momanyi decried the poor turnout, saying it was a bad show to the rest of the country. “Let us all register within the shortest time possible so we can show the country we are giving Matiang’i moral support in his role,” Momanyi said. The CS asked Kenyans to register and assured them that the primary aim of the Huduma Number is to enhance service delivery. ‘’We want to move forward and decentralise provisions of services to Kenyans. Don’t fall prey to propaganda,’’ he said. He said Kenyans ought to register as the digital technology has transformed nearly every aspect of modern life across the world. He said travel, work, shopping, entertainment and communications are just some of the areas revolutionised by technology. 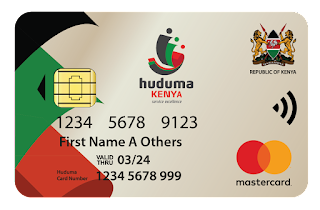 “Digital technology means devices can be more compact, faster, lighter and versatile and this is why we are introducing the Huduma Number,’’ the CS said. Through the number, he revealed that huge amounts of information can be stored locally or remotely and moved around instantaneously. He has previously said Kenyans were bearing the brunt of carrying around multiple documents such as ID cards, NHIF cards, passports and driving licences. Elsewhere, Othaya MP Gichuki Mugambi mobilised residents to register for the Huduma Namba at Gichiche Primary School, yesterday. The MP and Nyeri County Commissioner David Kipkemei urged residents to register in large numbers to enable the Government plan growth better. Mass Registration of persons across the country began last week. Upon registering for NIIMs, one is given the Huduma Namba. A multipurpose card will then be produced after verification on the information provided. This card will be referred to as the Huduma Card.